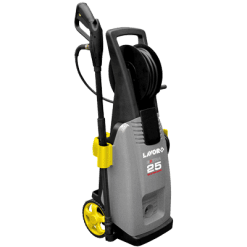 The Lavor SPACE180 high pressure cleaner is a medium duty, Domestic grade cold water machine. 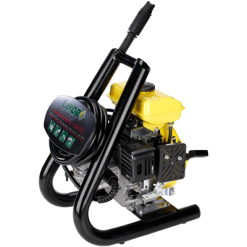 The machine has a 2.4KW universal 240V electric brush motor that offers the home user a Domestic grade machine with plenty of grunt with 8.5LPM at a maximum pump pressure of 2310PSI. Most importantly, the carbon brush universal motor is fitted with a thermal overload. As a result, this protects the motor from damage when used for longer than the suggested continuous use periods. 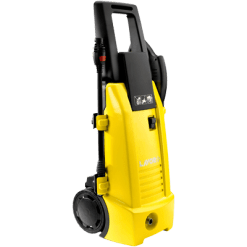 This cold water pressure washer is a great all around machine suitable for the home / home workshop with many added accessories. Firstly, it has three quick nozzles which include a Vario, Turbo and Detergent Nozzle. 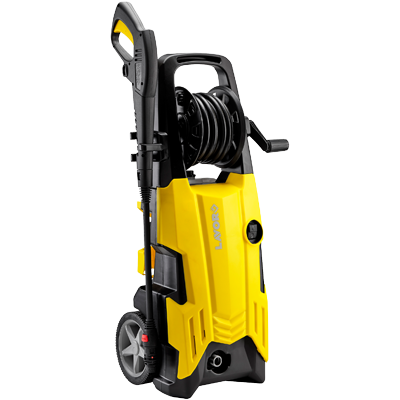 The SPACE180 pressure washer also has a Patio Cleaner, Rotating and Fixed Wash Brush as standard. 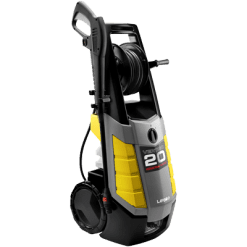 This makes it ideal for all and any cleaning jobs around the Domestic home environment. 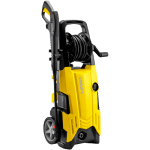 In conclusion, the pressure washer comes with a lightweight carbon brush motor which makes the total weight of this unit easily manoeuvrable for all members of the family.